A global industrial manufacturer of commercial & industrial motors, generators & mechanical motion control products. Company is headquartered in the Midwest (US) with operations across North America, Europe & Asia. 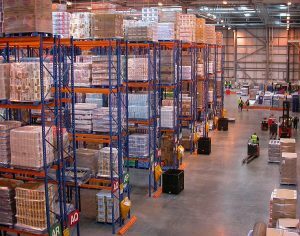 Improve productivity of company’s largest warehousing facility. Create a global solution that can be leveraged across geographies & divisions. Address complex product mix, track packaging code from receipt to shipping & integrate with third-party transportation system for optimized freight movement from factory to end customer. Extensive WMS put-away rules that direct product to optimal storage locator. MSCA mobile extensions to allow visibility and tracking of packaging code throughout the warehouse. A Parcel Picking extension that optimizes picking of small pack product for shipment by UPS & Fedex. A Pallet building & Cartonization extension that gets triggered by Pick Release, and palletizes product based on dimensions, weight, volume and customer specific requirements of product being picked. 50% reduction in keystrokes necessary for receiving & shipping product resulting in a substantial improvement in overall warehouse productivity. Elimination in Manual processes used for assigning workload & tasks to pickers. Improvement in Inventory Accuracy through implementation of Directed Put-away rules.